The start or end of Ireland’s 2,500 km Wild Atlantic Way –a route tipped as one of the world’s great road trips – is in Kinsale, County Cork, depending on which way you are holding the map. 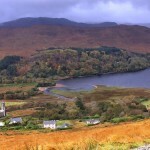 At the very edge of Europe the Wild Atlantic Way stretches downward from Ireland’s rugged and isolated north west tip of Donegal coastline along the western sea board It skirts spectacularly near the sheerest of cliffs and also the most desolate beaches and jagged inlands. The sign posted route meanders a little inland here and there through sleepy villages, to interesting landmarks and picture postcard towns, one of the highlights being Kinsale at the end of the road. “Take one spectacular location, season liberally with Norman, Spanish and English influence, add one major battle and let simmer for 400 years. 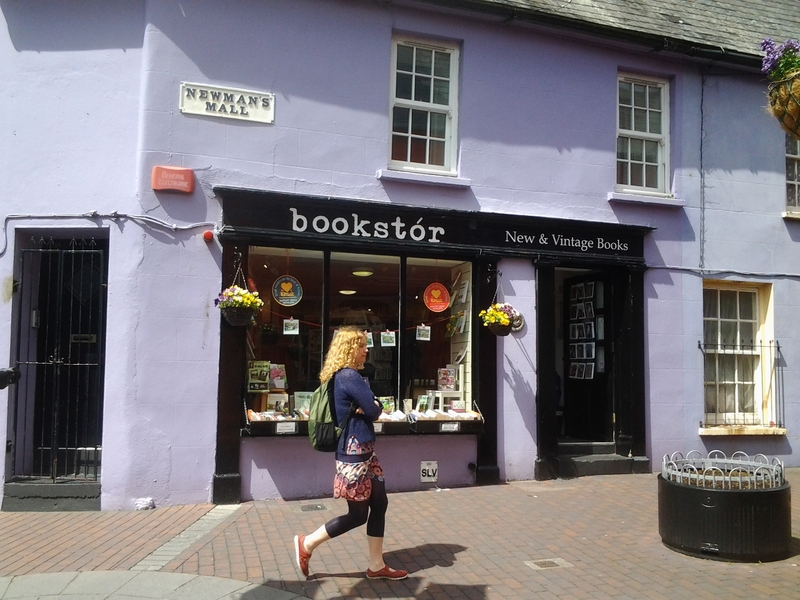 The result…Ireland’s gourmet capitol” I am reading on the illustrated map about this charming medieval town of narrow streets, cobbled laneways, art galleries, beautifully restored shop fronts painted in vibrant colours and tea shops. Kinsale is famous for being Ireland’s gourmet capitol outside Dublin. It seems to have as many restaurants as it does pubs. That says a lot in the emerald Isle. Among them are gastronomy temples listed in the upper echelons of world class restaurant guides. 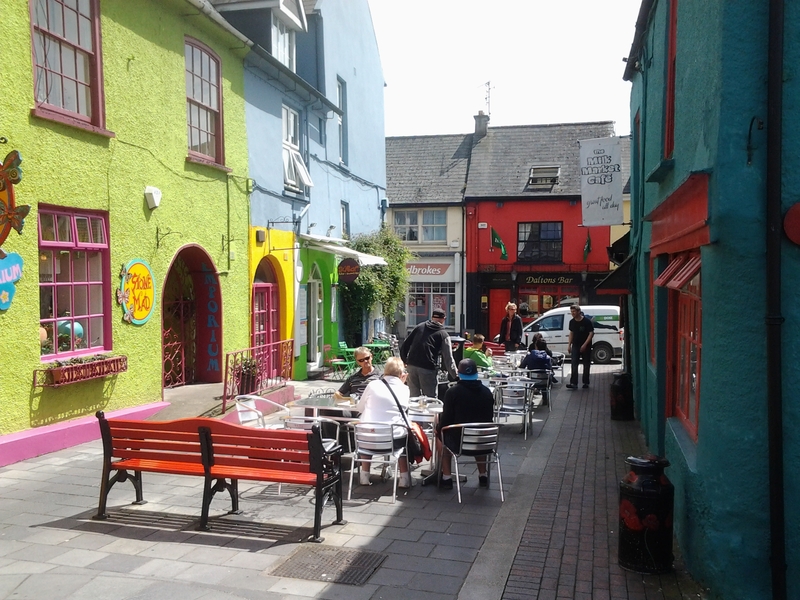 What makes Kinsale attractive to visitors of all ages and income levels from backpacking students to the well heeled yachting fraternity though is that you can eat at the top end but also in between. From pricy seafood at Fishy Fishy or informal dinner at Crackpots to great tapas at the Shanghai Express, Vista or a freshly caught local half lobster in Jim Edwards at lunchtime… it is all here. 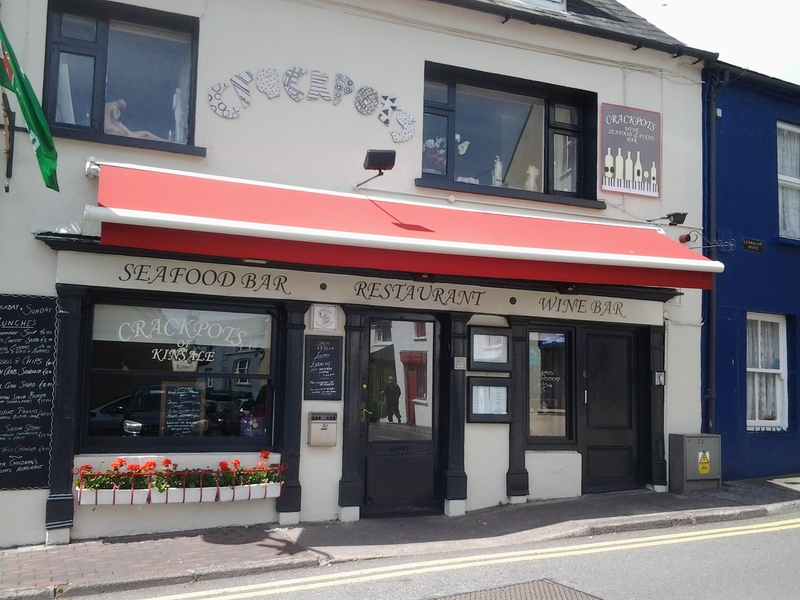 Kinsale’s Gourmet Festival held every October and the town’s Good Food Circle established the picturesque town served by local fishing boats supplying the freshest of fish to local restaurants and bars as a foodie paradise back in the late seventies. 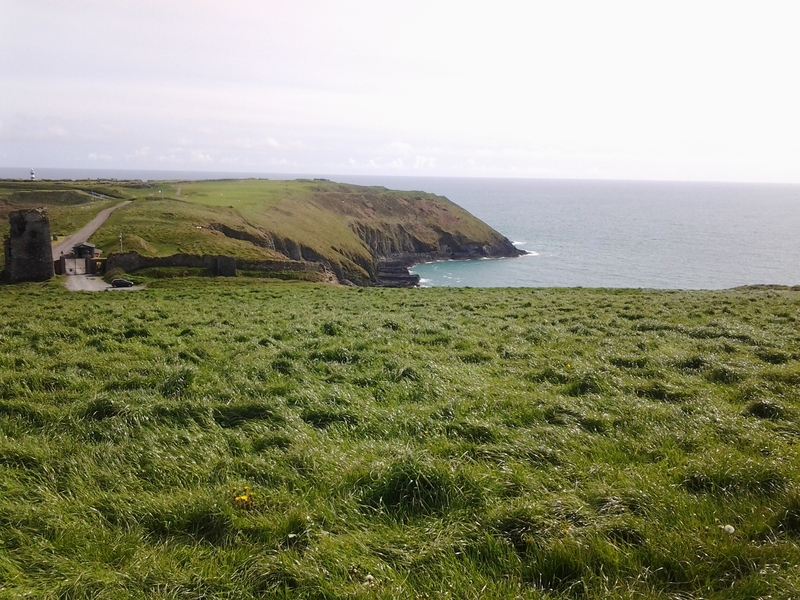 But Kinsale is not just about food, it is also about a wonderful setting, only a few miles away from the scenic Old Head of Kinsale. A recently opened memorial , restored Old Head Signal Tower and garden of commemoration to those who died when the cruise ship Lusitania was hit by a torpedo by a German U boat during World War 1 off the coast is well worth a visit for the view and historical interest. Kinsale’s impact is immediate. A juxtaposition of old world charm, tiers of centuries old buildings above, a museum here and a castle there standing aloof, the gentle clatter of the yacht masts in the harbour draws tourists from all over the world. 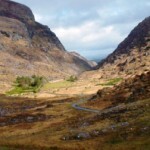 As you round the last sharp bend in a rental car from Cork airport less than half an hour away or by bus (they run every hour from outside the arrivals terminal) the town comes into view at the end of the road. No stranger to awards Kinsale added the title of best small town in Ireland for 2014. Newcomers see why. “There is a great feeling of having arrived and a desire to get out and start to explore” the judges had noted. 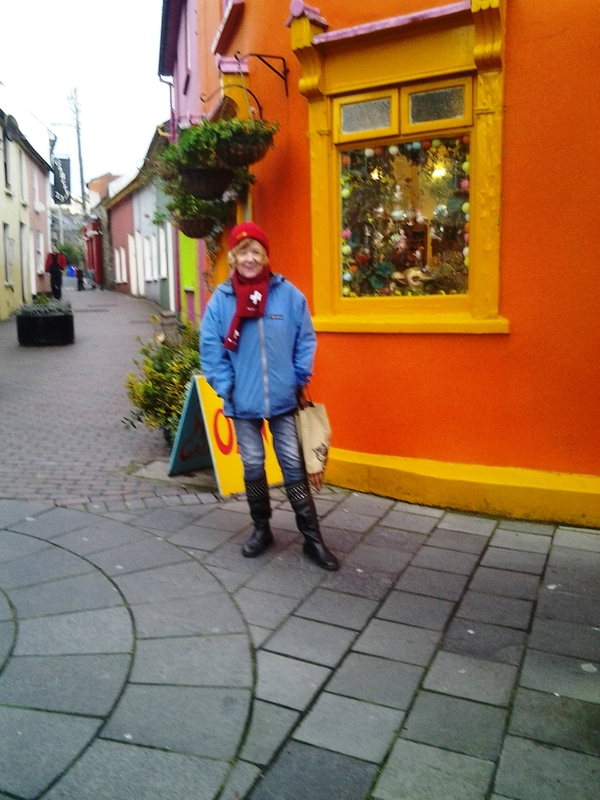 A strenuous few hours of climbing and descending via ancient flights of hidden steps known as Sallyports, exploring layers of Kinsale’s historic past leads me down to little streets lined with restaurants, music pubs, cafes, art galleries, designer workplaces and gift shops. It is an eclectic line up from the Giles Norman Gallery of dramatic black and white images of local and more general landscape at 45 main street to Kinsale Bookshop, one of the oldest buildings in town just down the street and a bit further away K. Jones courtyard shop crammed with clocks and curiosities, vintage and more at Market Quay. 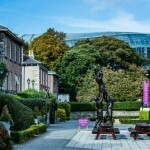 In between you can browse un kitsch Irish crafts and local silver and glass on streets known for their music bars and cosy coffee corners. The weather though milder and sunnier than elsewhere in Ireland due to the influence of the gulf stream can still throw up four seasons in one day. So when the wind bites a bit and a ‘soft ’ drizzle rolls in from the Atlantic Poet’s Corner, cafe and book exchange on Main Street, is a great hideout. Poet’s Corner walls are crammed with used books and you can exchange two of your own books for one of theirs for free. A cup of ‘inner peace’ or ‘thin and fit’ tea took the guilt out of that fresh strawberry custard tartlet here. Bring raingear just in case and take in some of the town’s best known views of waterside and bay on the gorgeous Scilly walking path up to the most imposing fortification. Charles fort constructed in the late 17th century and associated with some of the most momentous events in Irish history only appears after you pass the famous Bulman bar and restaurant at Summercove. The excellent exhibition centre and star shaped fort site is worth a long visit. Returning to the Bulman having worked up an appetite for lunch, I had sea fresh local mussels steamed with savoy cabbage, bacon and laced with cream. Delicious. 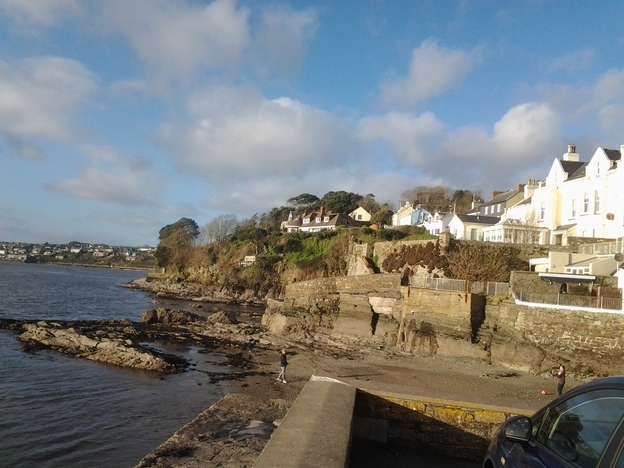 An evening in Kinsale is not complete without a visit to one of the town’s lively music bars or the quieter ambience and comforting open hearth of an authentic pub like the Tap Tavern in the centre of town. Nightly seasonal Ghost tours of Medieval Kinsale depart from here. Wily town officials in days of yore knew how to flatter visiting ships captains, he explains. They would hire ‘rent a crowd’ to cheer as the foreign VIP’s were brought uphill on sedan chairs to the Desmond Castle to pay their hefty landing taxes Dermot carries a folder showing pictures, maps and engravings that bring the past alive to days when Kinsale hookers were berthed and the travelling fishwives gutted and salted mountains of fish that were exported in barrels to faraway lands. At the nearby Kinsale museum let yourself be transported back to those days when the town had three shipyards and Charles 11 was proclaimed king in St Multose church.The inquest into the sinking of the Lusitania was held in the museum, then a courthouse and a exhibition commemorates the disaster in which 1,195 lives were lost in an event that would be a turning point in the Great War bringing the United States into it to aid the allies.